We often combine the ArmeoSpring and Lokomat as part of the rehabilitation program for patients who have both gait and upper extremity impairment. We have experienced very good results and would like to share a patient story as an example of why we find this combined approach beneficial for our patients. Below we describe the initial condition of the patient, how we used the Armeo and Lokomat as part of the rehabilitation program, and the results of the treatment, including before-and-after videos. Male, 22 years old, 20 days after stroke. 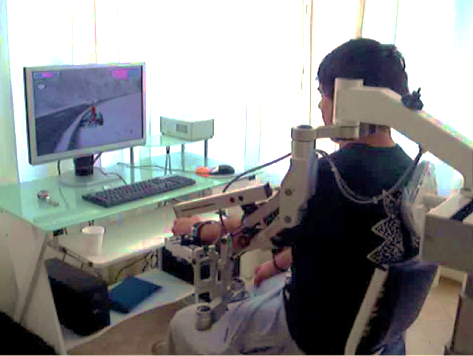 The patient suffers from left hemiparesis. Muscle strength 0-5 for every individual muscle according to Medical Research Council Scale. Recognition of the left upper extremity, integration into body scheme. Increase range of motion (ROM) of the left upper extremity. Functional movements in the left upper extremity, including hand movement and function. The patient received a treatment program which included conventional therapy, ArmeoSpring therapy and Lokomat therapy. We observed improvements in muscle strength and reflexes in all muscle groups evaluated. Moreover, we observed improvement in the performance of activities of daily living measured on the FIM-FAM scale. A stroke patient typically is affected both in the functionality of the upper extremities as well as their ability to walk. Based on our experience, combining the application of these two devices with conventional therapy, we would recommend this approach to other clinics with stroke patients. We believe that combining the Lokomat with the Armeo promotes faster recovery. 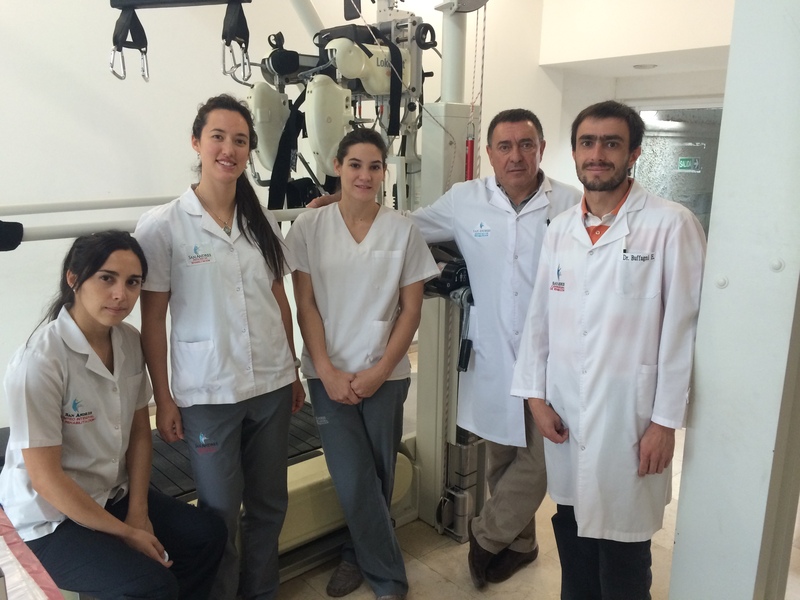 We are a rehabilitation clinic with a team of specialists in different disciplines including various medical specialties such as neurology, psychology, internal medicine, intensive care, rehabilitation. The team also includes an interdisciplinary team of kinesiologists, nutritionists, occupational therapists, phonoaudiologists, respiratory therapists and nurses. The departments and units where our patients are treated are: special care, intensive care, family support, amputees, ambulatory, stroke unit and robotics. In the robotics department we have a Lokomat since 2009, an ArmeoSpring since 2012, a Motomed and an Erigo since 2013. We focus on individualized programs; each patient is treated by an interdisciplinary team to best provide high quality treatment for our patients and their families. 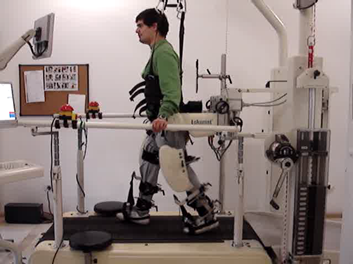 Gait pattern before therapy started. Gait pattern after lokomat therapy. Upper limb before ArmeoSpring therapy. Upper limb after ArmeoSpring therapy. Hand and arm movement capabilities after ArmeoSpring therapy. Shoulder movemement capabilitites after ArmeoSpring therapy. Hand motor skills after ArmeoSpring therapy.